Look up—but make sure you do it quickly. The world’s fastest rocket, United Launch Alliance’s Atlas V, is launching into space this afternoon, and you can watch it happen at 2:30pm EDT. The last time we watched an Atlas V launch a satellite, it was delivering a secret payload for the US National Reconnaissance Office. This time, though, we know exactly what is going up from California’s Vandenberg Air Force Base this afternoon. It’s a new high-resolution imaging satellite, the WorldView-4, which will return pictures of our own planet back to us. 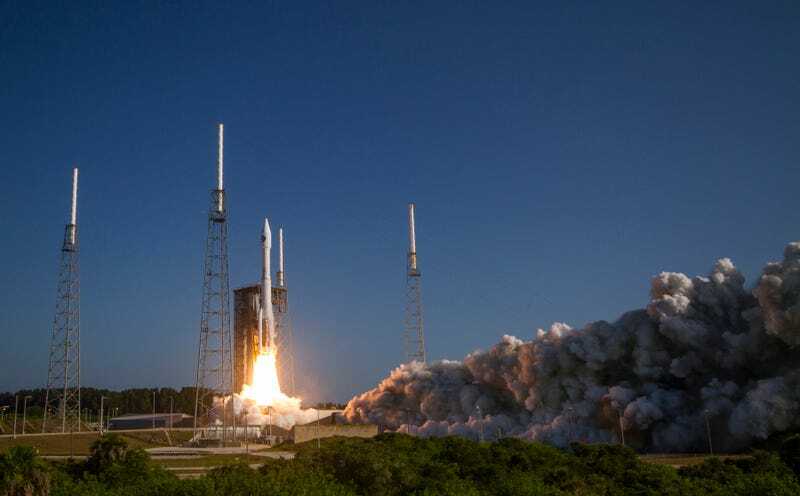 Ten years ago, an Atlas V broke the speed record for fastest rocket launch when the rocket carrying NASA’s New Horizons spacecraft hit 47,000 miles per hour. Today’s rocket launch won’t quite reach that speed, but it should give us a pretty spectacular look at one of the world’s fastest and most powerful rockets as it sends a new satellite up into space.